It is a really sunny day today so I am in “summer” mood! Yes I know…it is really early for the Summer or even for the Spring, but I love the sun! 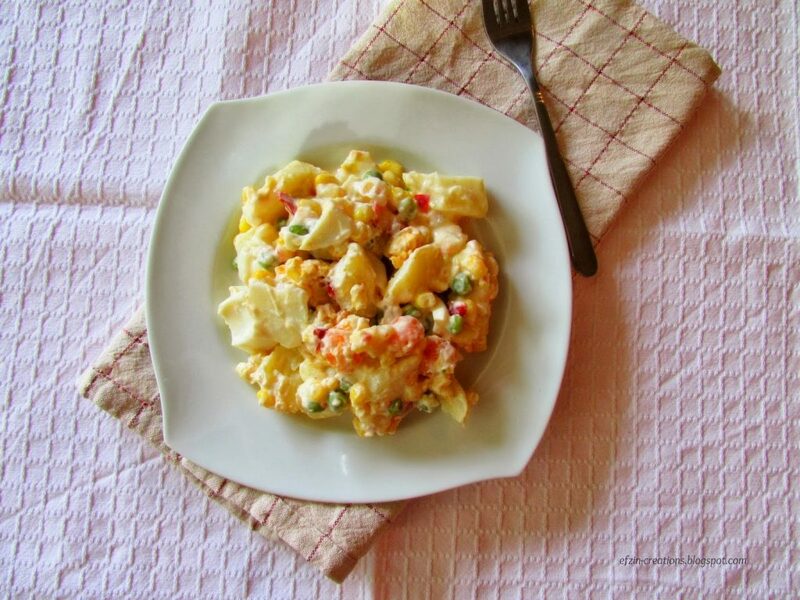 And since I am in holidays mood, let’s have an easy recipe and at the same time so delicious! Clean all the vegetables and cut them in small pieces. Use a pot to boil them. Let the vegetables and the eggs to cool down. 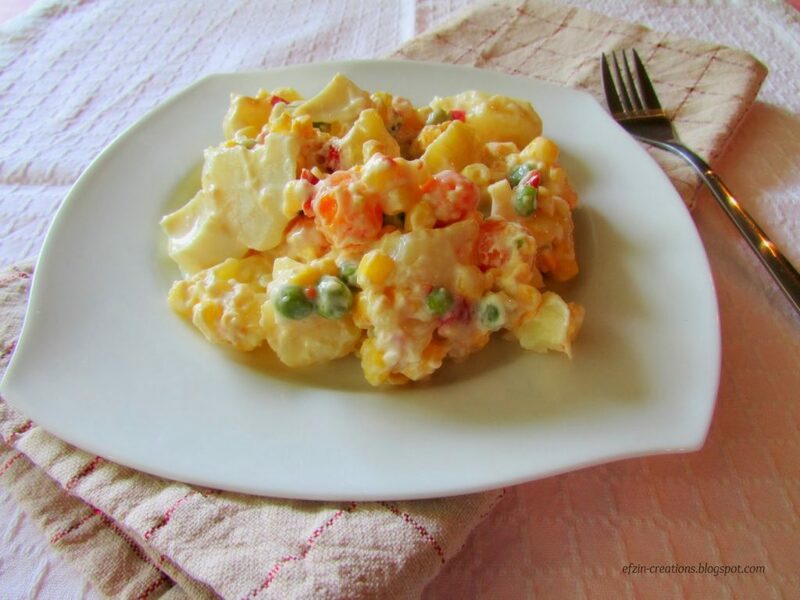 In a bowl add the vegetables, the eggs in small pieces and add salt and pepper. 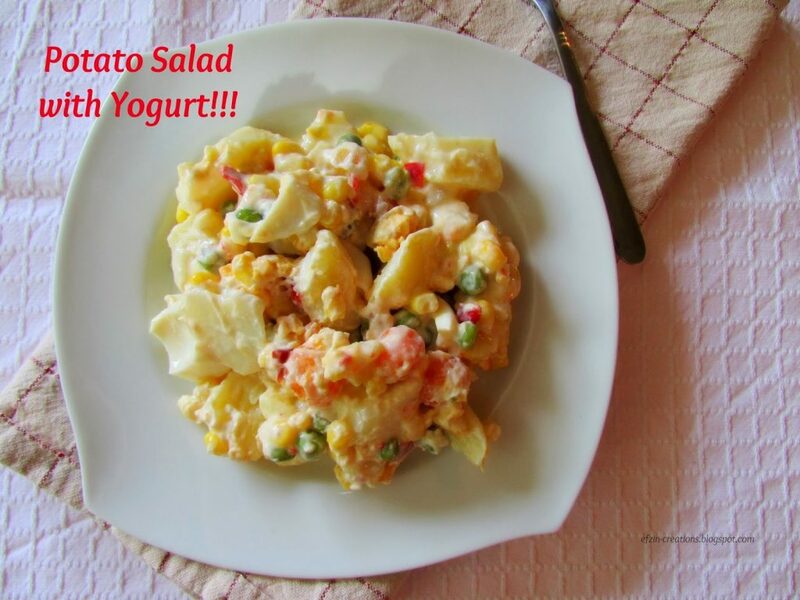 Finally mix the yogurt with the mayonnaise and add them to the vegetables. In case you are an onion lover or cheese lover, you may add a fresh onion in small pieces or feta cheese. It will make your salad taste even more refreshing!